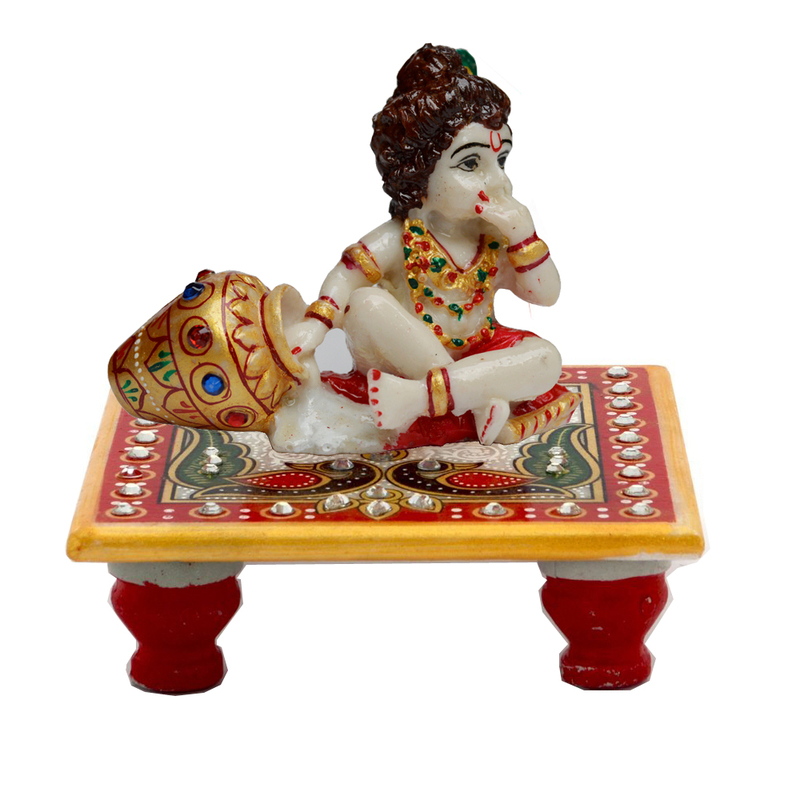 Bring home this beautiful kanha enjoying makhan Statue sitting on chowki and enance the spiritual environment this diwali. 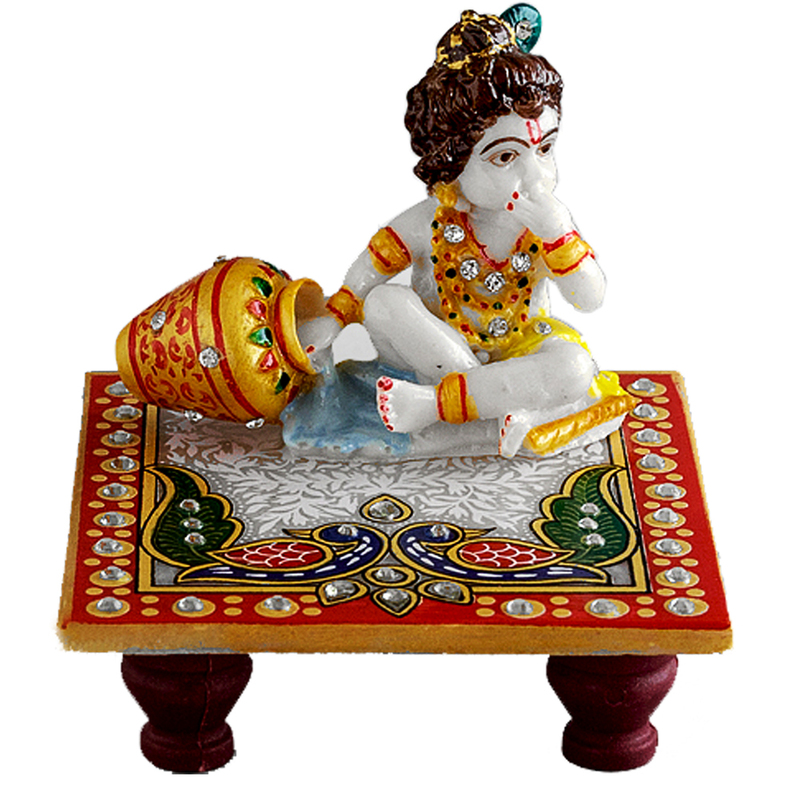 The endearing sight of kanha enjoying makhan Read More..sitting on a well decorated chowki portends good luck for the home owner. It will also add to the décor of your home. Also gift this exclusive item to people you care about and win their appreciation. This will serve as a memento of your love, care and spiritual inclination. Show Less..